With summer around the corner, give yourself a break from summer heat and welcome these pool ideas. If you are working on to re-design/re-decorate/re-surfacing your poolside area, then this blog is for you. Tilling around pools is one of the ways to uplift the entire texture of your swimming pool area. Not only it widens the scope of transforming the entire outdoor area according to your flair but also is eye pleasing. AGL gives you a wide range of options to choose from porcelain tiles, natural stone, and patterned ceramic. Thus, you have plenty of options when it comes to finding the perfect pool tile for your taste and budget. Let's take a look at some of your swimming pool's best — and most stylish — types. 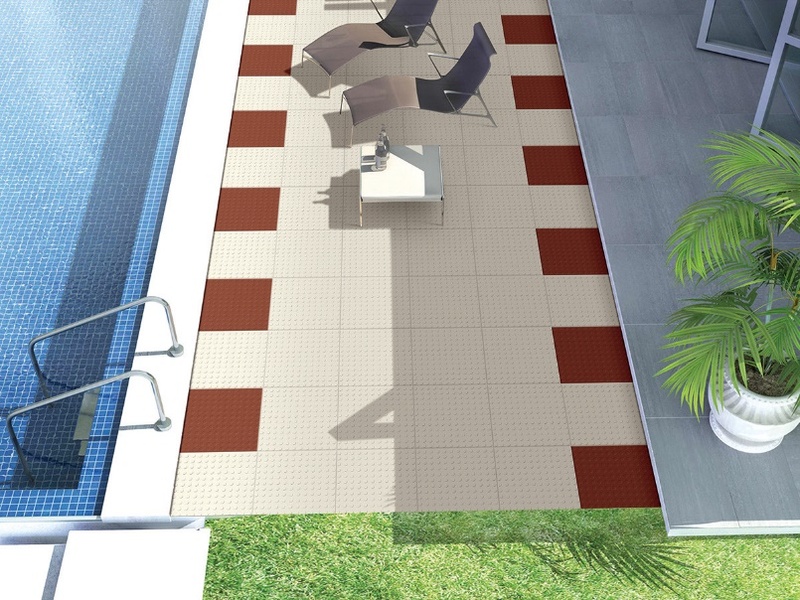 Natural stone is often used for pool decking and another outdoor environment, but due to its high porosity and maintenance characteristics, it is not considered the best choice around the pool. If you're a fan of natural stone-look alike and want to have options in it, we, at AGL, have plenty of parking vitrified tiles available that can be used around your pool.For example, our marble-looking Parking Vitrified Petra series have the timeless appearance of real marble with easy maintenance and weather resistance. Another option in stone-finish is AGL Vitrified Gripstone series also imitates travertine's earthy look. Subway tile is one of the most common and popular options that is widely used throughout the home. Due to its sophisticated look, it is mainly used in kitchen and bathrooms. But, we are presenting subway tiles that are not so sober and will definitely match the charm of pool side tiles that you are looking for. 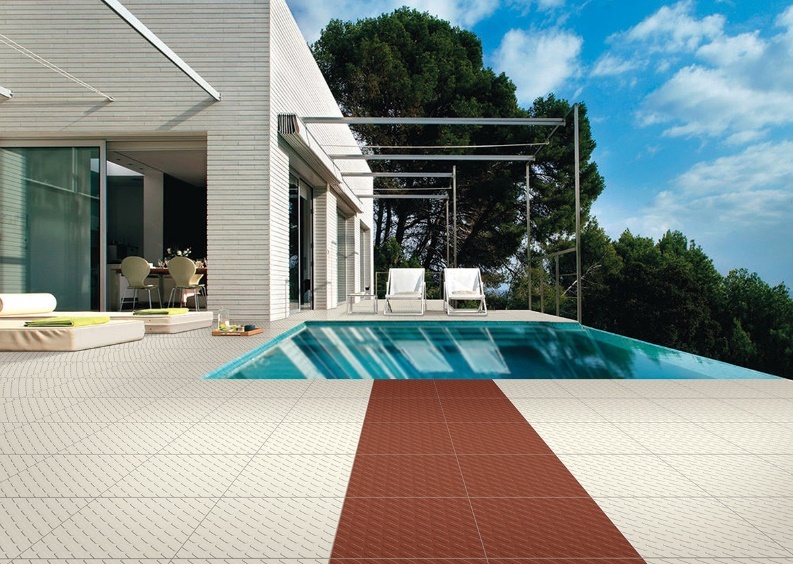 AGL Gravel Series, available in a variety of coastal colors, makes an ideal swimming pool tile choice. It's a great way to transform your pool with a contemporary design. Also, it sits into the idea of either the style - classic subway tile or something unique and uneven. Studs pattern of tile works as a warning or attention sign for people in areas with obstacles and gaps ahead. Such patterned tile is a unique non-fade surface indicator tile that is non-slip. Usually these indicators are used to give the blind and visually impaired indicators of the imminent hazards. But due to their properties, they can also be installed next to the swimming pool. 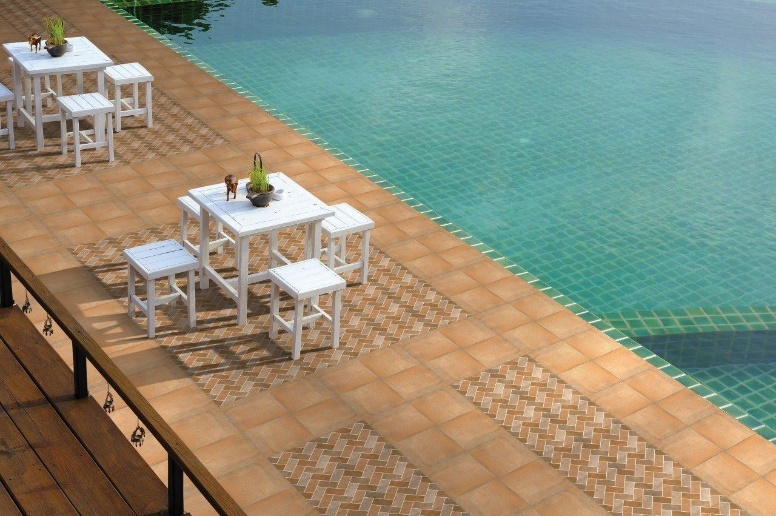 Decorative pool tile is a popular choice to give an intricate, patterned look to your pool design. The Rodiz Series can add an antique aesthetic while our AGL Rim Nero Plus is perfect for those who love a modern geometric style of mid-century. 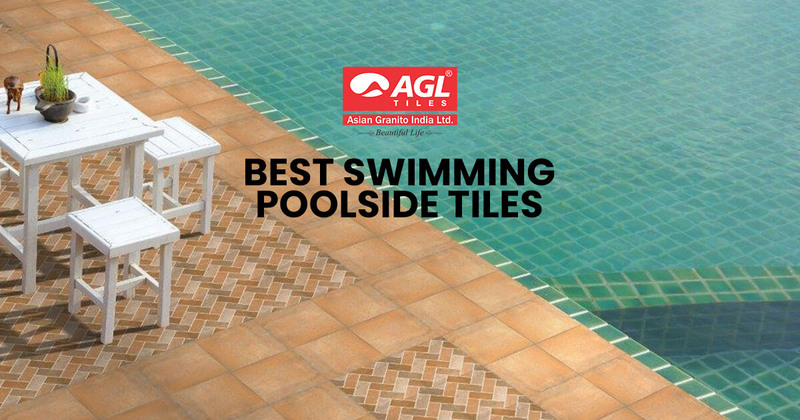 AGL Tiles collection for pool side area has a versatile appeal and charming vintage/classic touch that adds real character to the design. Explore them!